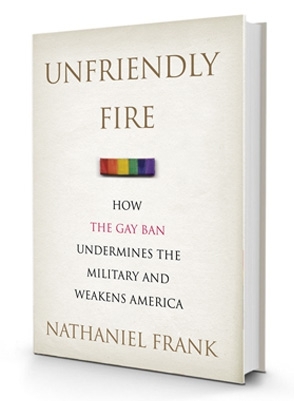 Unfriendly Fire: How the Gay Ban Undermines the Military and Weakens America has been recognized as that rare book that helped change powerful minds, contributing to better public policy and improved lives. The book used extensive scholarship, human stories and an aggressive messaging strategy to inject facts and faces into a discussion where there had been much heat and too little light. It was widely read by opinion leaders and policymakers, including Pentagon officials charged with reporting on how the military could lift the gay ban. Unfriendly Fire also served as the blueprint for two successful Constitutional challenges to “don’t ask, don’t tell” in federal courts (in which Frank testified), helping pave the way for the ban’s demise. The Daily Dish, author, The Conservative Soul: How We Lost It, How To Get It Back.